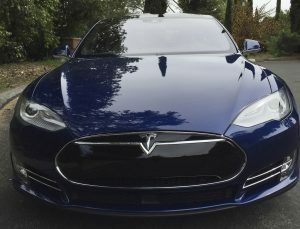 The sensor systems that enable Tesla’s hands-free driving are the result of decades of advances in computer vision and machine learning. Yet the failure of Autopilot — built into 70,000 Tesla vehicles worldwide since October 2014 — to help avoid the May 7 collision that killed the car’s sole occupant demonstrates how far the technology has to go before fully autonomous vehicles can truly arrive. The crash occurred on a Florida highway when an 18-wheel tractor-trailer made a left turn in front of a 2015 Tesla Model S that was in Autopilot mode and the car failed to apply the brakes, the National Highway Traffic Safety Administration (NHTSA) — which is investigating — said in a preliminary report. “Neither Autopilot nor the driver noticed the white side of the tractor-trailer against a brightly lit sky, so the brake was not applied,” according to a statement Tesla issued last week when news of the crash was widely reported. Tesla says Autopilot is disabled by default in the cars, and that before they engage the feature drivers are cautioned that the technology is still in the testing phase. Drivers are also warned that Autopilot “is an assist feature that requires you to keep your hands on the steering wheel at all times,” the company says. In addition to investigating exactly what happened in Florida, Tesla is looking into a Pennsylvania crash that took place July 1 — the day after the NHTSA announced its probe — involving a 2016 Tesla Model X that may have been using Autopilot at the time of the accident, according to the Detroit Free Press. Tesla says there is no evidence Autopilot was in use during the mishap, although the Pennsylvania State Police contend the driver said the car was using the self-driving feature. READ NEXT: How will driverless cars make life-or-death decisions? This article is reproduced with permission from Scientific American. It was first published on July 8, 2016. Find the original story here.